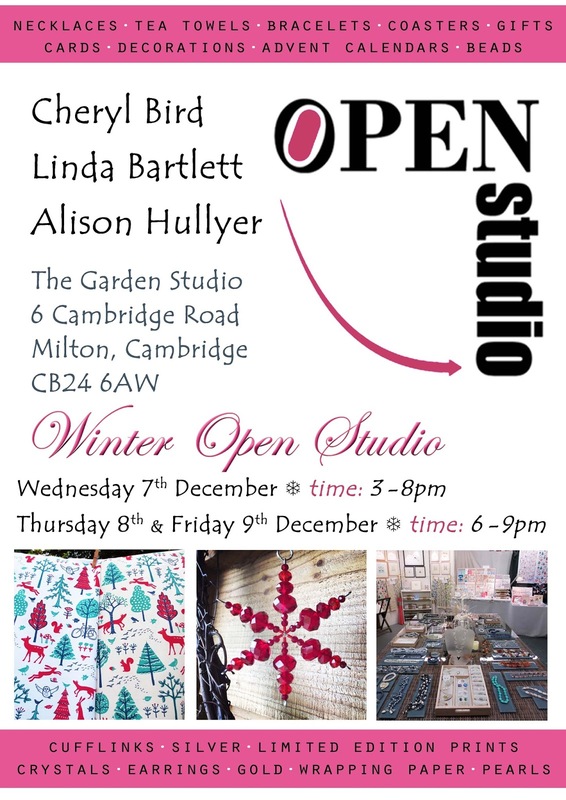 After a very successful first Winter Open Studio last year, I have been invited back to the Milton studio of jeweller Cheryl Bird for three evenings this week. 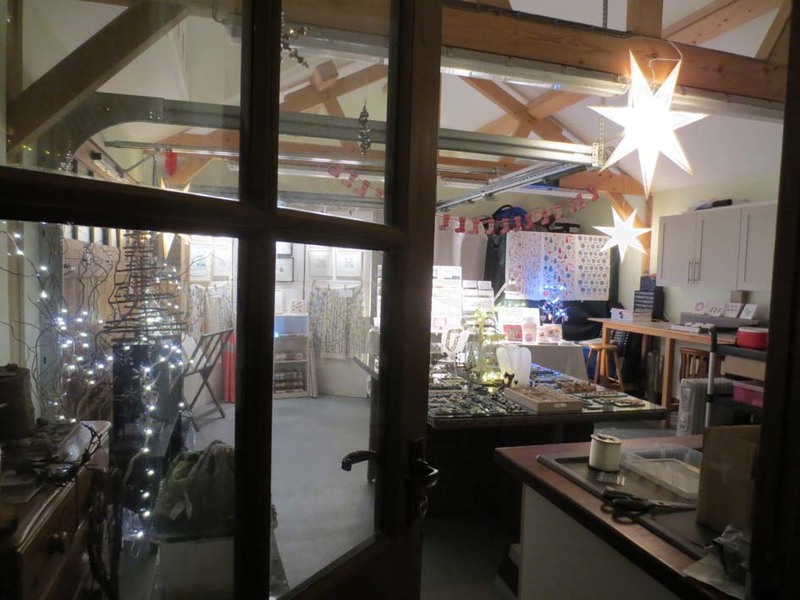 Also there will be Linda Barlett with her stunning jewellery. 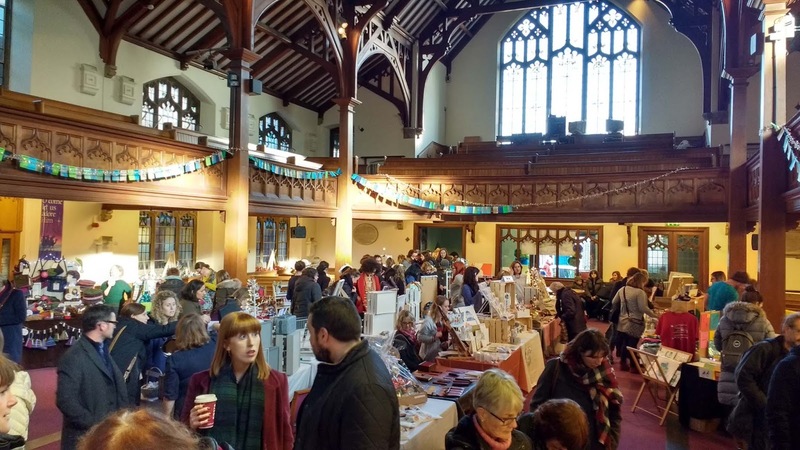 We had such fun last year, possibly helped by the free flowing mulled cider and copious amounts of mince-pies. 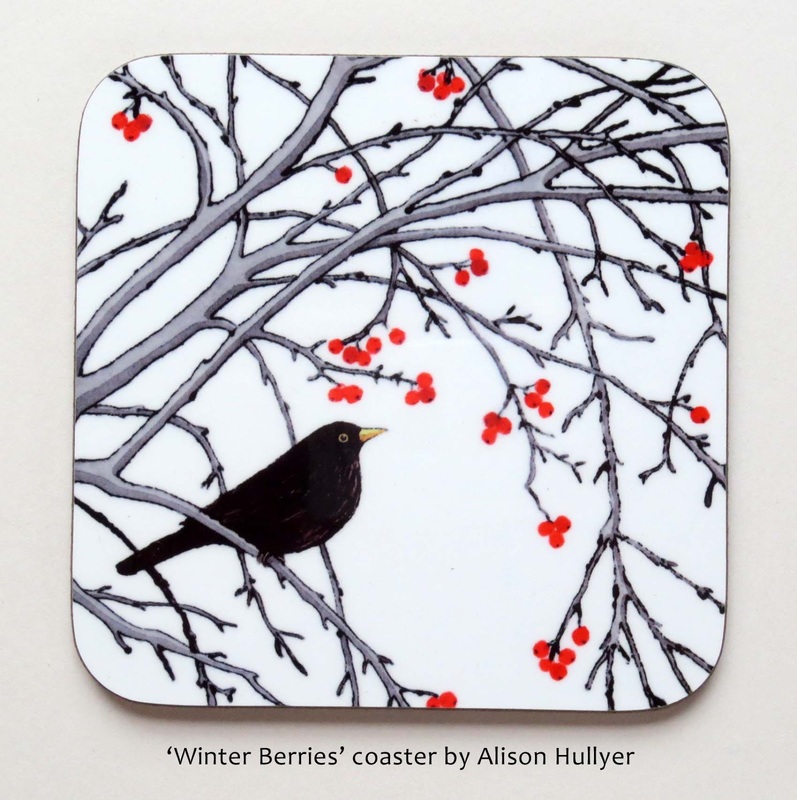 If this doesn't get you in the festive mood nothing will. 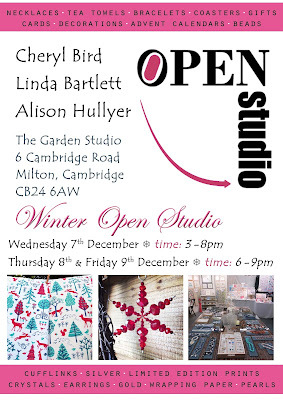 Unfortunately I can't be there in person on the Friday, but Cheryl and Linda will be expertly manning the stalls. If you can't make these dates but would like to come during the daytime please contact us. This is my last fair this year, but I'll be taking online orders through my website and Etsy shop until mid December. 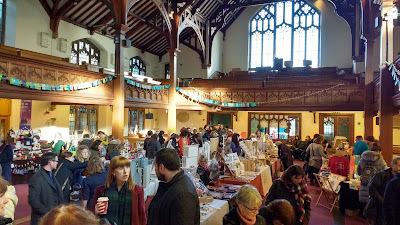 I didn't have a chance to post much about this show before the event, but I just wanted to add a couple of photos and to thank in print the organisers. This was my first time exhibiting with the Etsy Made Local group and I was very impressed with the venue, publicity, quality of work from other stall holders and the amount of visitors that came through the door. We had 1000 each day on Thursday and Friday and an amazing 3400 on Saturday - very busy. 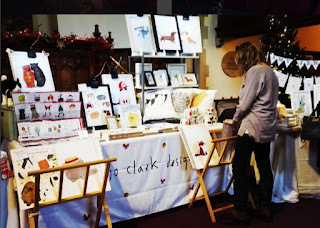 I was next to the ever popular Jo Clark who did a roaring trade with her prints, calendars and mugs of quirky animals. 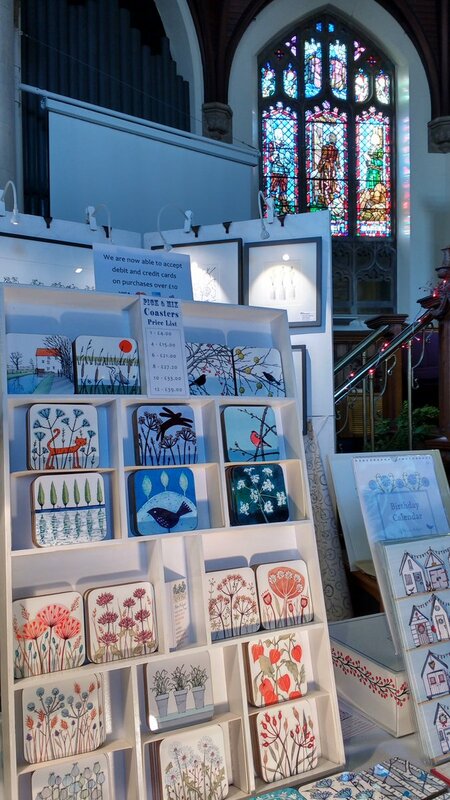 I sold the last in the edition of my Rich Pickings print, which makes me happy and also sad to see it go. 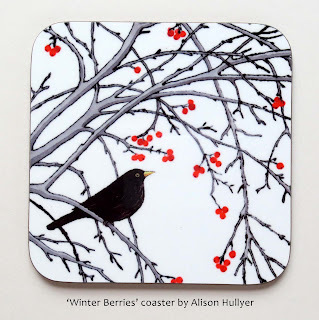 The new Winter Berries print has also been very popular and was the best selling coasters by a mile.